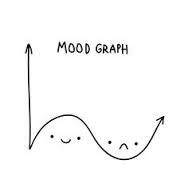 Tracking my Mood State in order to Pre-empt Illness. Medication, I record whether I took my medication and whether I took it at the right time. My overall mood on a scale of 1 (depressed) to 10 (manic) with 5 being “well or normal”. This doesn’t allow for mixed states I realise but is useful most of the time. It does show mixed states though across time, if I am 2 one day and then 8 the next I can see a mixed state emerging. Sleep quality and quantity, so I write down the total number of hours I slept and I categorise that into Too Few (less than 7 hours sleep) Healthy (7 to 9 hours sleep) and Excessive (more than 9 hours sleep). Then I note how healthy that sleep was on a scale of 1 (terrible) to 10 (perfect solid sleep). Exercise, I write down how much exercise I did in minutes and the intensity of that exercise on a scale of 1 (light) to 10 (intense). Diet, I record whether I ate and drank a healthy diet on a scale of 1 (very unhealthy) to 10 (very healthy), things that might affect this are junk food or alcohol consumption for example or even how much water I drank. Reclusiveness, this is just a yes/no category “did I leave the house today?”. As I said, I track a number of other items too but they may not be relevant to everyone so I won’t list them. I keep the information in a spreadsheet and then I can calculate averages across time and see how I am travelling. I can also create graphs to make it easier to analyse the data and so forth. I come from a word processing background so I enjoy spreadsheeting and graphing etc etc (I’m weird I know). But it does really help me to be able to look back over the last week or month for example and see how my mood state has been and from that I can anticipate whether I am heading for a depressive episode or perhaps mania or I’m in a mixed state; or whether I am actually travelling well. I can then share this information with my psychiatrist and he can tweak my medications and treatments accordingly. I can also tell my hubby how I’m travelling and friends and family, so they can all help me if I need it. But most importantly I feel in control of my own mental state. 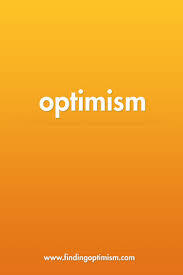 I got the idea to do this from an app named Optimism, it wasn’t quite right for me but may be just perfect for you, so if you would like a ready to go app that does similar things to what I’m doing check it out. Anyhow that’s all from me for today, I hope this is helpful to someone!